This entry was posted on Friday, February 26th, 2010 at 7:59 am and is filed under Uncategorized. You can follow any responses to this entry through the RSS 2.0 feed. You can skip to the end and leave a response. Pinging is currently not allowed. Morning Erick, we missed you yesterday, glad you can get on this morning.. Thanks Erick – all three could be back for next saturday, the stoke game is massive for the boss, he needs to get his team right big time..
RSD, can you see Inter knocking out the chavs now? which 3 will be back? I reckon they will too – and I want them too..
Sol will play Erick and keep Fuller at bay. I reckon he will start with Theo, hoping he may finally step up his game, couldn’t be a better time for him to do so either..
Ercik, have you ever wanted to write someting Arsenal for a post here? That would be good Erick, I haven’t a clue how old you are or what your true views are – it’s always nice to read different ones. I don’t mind doing a spell check (not that mine is good) as long as you don’t mind..
Martin Keown a top top man. No frills, passion, commitment and opinionated. No Silvestre at all, no Walcott from the start and certainly no Denilson anywhere near the Britannia, near the Emirates or anywhere in Britain for that matter. – Walcott does not fare well in away games. Give him his brief cameo. I have posted on many blogs and I still will pose the same question: How can a player at a Champions League who has poor technical ability make 60,000 pounds/week at a club where money is tight? – in my 13 years as supporter Denilson has to be the player that I hate the most. No offensive talent, defensive presence, full of indecisiveness, no passion, no power or presence and DOES NOT TRACK BACK. Martin Keown would have ripped his head off. Why can’t Wenger see this? Denilson has made 18 appearances this and six of our seven losses in all competitions have come with him in the starting lineup. This is not a coincidence. He is the main reason why we let so many goals. The gap between our back four and forwards especially when facing a counterattack, is large enough to construct a new Ashburton Grove. He is detrimental to the team. Keown would be a great aide to Wenger instead of yes man Rice. It is no coincidence that he played a part in the only time we made Champions League Final. Can Wenger handle him? When he was 20, he was miles ahead of head of Walcott. I look forward to it.. Morning M10, welcome to Avenell Road, great opening comment. M10, Its a shame you didn’t come on a couple of days ago, JonJon did a post about Theo which got some interesting responces. Your comment about Denilson makes me chuckle too, personally I am not a fan of his, he gives little to the team imho. You take your time Erick, there is not time scale..
Off for a bit, laptop to collect and dogs to walk…. Arsene has done a wonderful in purchasing players for the most part, but there is one area I believe Fergie completely outskills him, if that is the word. Man management. I am sure there was a time in the first couple of years where Ronaldo was homesick and did not like the physical stuff. Fergie cajoled and pampered him and he is now one hell of player. Although his talent was evident from the get-go. He worked his socks off. For us Reyes was homesick, intimidated by Gary “Smithers” Neville and intimidated by Thierry arrogant personality on the pitch. Henry is one of the great players for this club, but he is arrogant. Reyes was a superstar in the making. However, he complained and Wenger gave in. Every player goes thru a dip in form, but he was 22, much better than Henry was at that age and homesick. I believed a manager like Fergie would have done more than Wenger. Same case with Hleb. Although he was lookin for a better paycheque. We had him under contract, but Wenger gave in. He said Nasri would come even Alexandr “Who can dribble in a phone booth” Hleb stayed. Fergie will attempt to do the same with Anderson. He struggling and sadly done his cruciate. But Fergie will fight to keep him. He has the potential to be a combination of Keane and Scholes rolled into one. And they are legends, as much as hate Man Utd (because they are better than us). There is a balance I feel. If Rafael had made a mistake, Fergie wouldnt have shouted at him because he is younger, and perhaps a little more mentally fragile. Evans is a little bit more experienced and thus a higher standard is expected from him. He has all the makings of a great CB. He played extremely against Chelsea at Stamford Bridge this year when United were unlucky to lose. His karate kick on Drogba was an epic assault. Chuck Norris and Bruce Lee would have been proud. But I dont understand why Denilson does not get an earful when he never tracks back. We see it. Adams, Vieira, Keown, Dixon and co would have knocked him out. He often plays infront of Clichy in 4-3-3 when defending. Ashley Cole would have screamed at him for leaving him exposed. Clichy, who is struggling should do the same. Or maybe Wenger can sell him. M10, just a quick one as I am a tad busy this morning..
Great topic you have touched on about man management etc, and the difference between Red Nose and AW – This site always welcomes new writers and only this morning Erick has offered up one on his views. Would you be tempted into writing a guest post one day on a topic of your choice?? Personally I think that AW thinks, no player is bigger than Arsenal and as soon as they want to go he tells them to crack on..
To be fair, not many have gone on to great new pastures, Hleb being one typical example, even he has said many times now that he should not have left..
M10 – that is great news, and if you enjoy the experience, maybe we can make it a regular thing, same for you Erick. Hey guys,i backed inter for a win and they didn’t disappoint.lucio made drogba look like a schoolboy exposing how he over-relies on his brute strength.balotelli had good touches,dribbles,ballcontrols and several nutmegs on malouda prompting several replays,he is obviously is talented but needs to change his attitude.i found it hypocritical for fatfrank to say they were the better team due to more possession and shots,we did the same at stamford frank so he knows how it feels.if chelsea had 60% of possession how much would we have?inter are woefully short in mf so i don’t fear them.Ade gets a 4 match ban for city making it 8 banned games in one season,was he worth the money? who’s you money on for the return KT? RS-i reckon maureen will dig out a draw in the return leg. Keown is my hero! 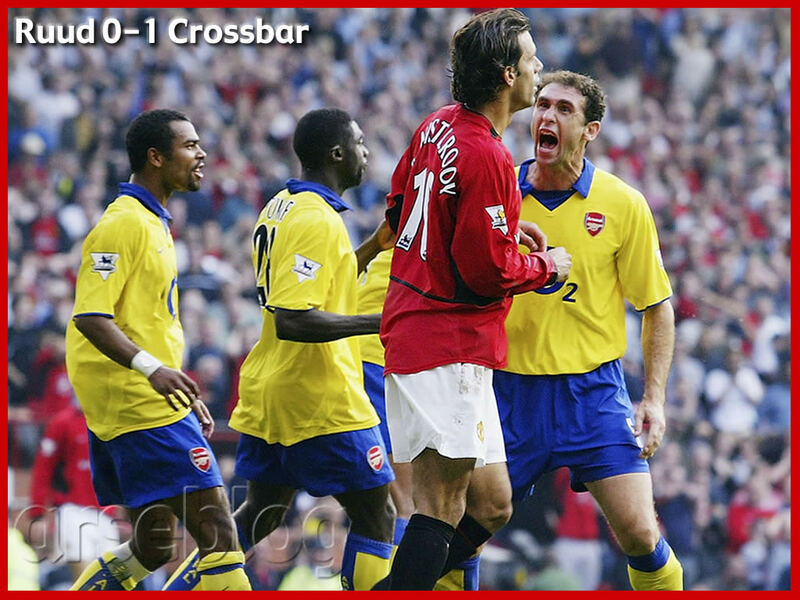 TA might be Mr. Arsenal, but no one exemplifies the Arsenal spirit as much as Keown! Also, well done, Wayne Bridge! Hi PDT, good to see you… Agree, Keown was big hearted with plenty of guts and spirit..
Great news about Pomey only going into Admin, no points taken from us.. Afternoon RSD, just been reading about that…. what you been reading then? what’s worse than a fox eating your shoe? a killer whale eating your trainer! sorry RSD popped off to cook supper…. Ok, I’m off for the ay, see you in the morning, nighty night all….